USD has had a tough month but was still able to manage to get a W to close out the month. The Toreros were 5-2 during that stretch with losses to then No. 4 Gonzaga, Pepperdine, BYU, Gonzaga (again) and Saint Mary. 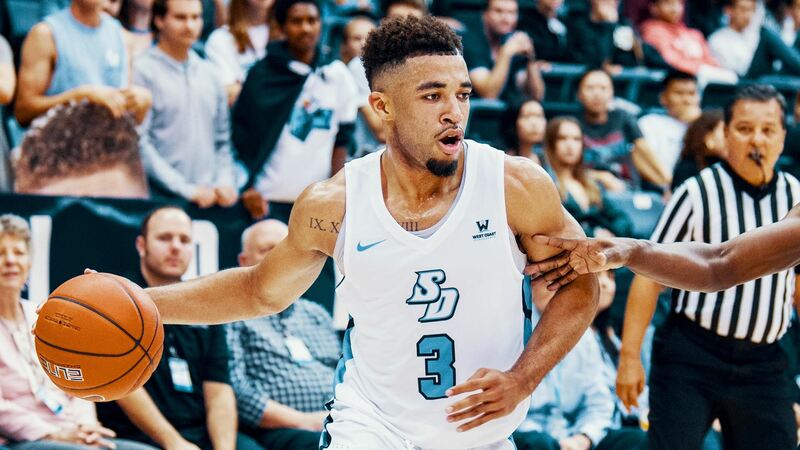 On Thursday, USD (18-12, 7-8 West Coast Conference) completed the sweep against San Francisco in a thrilling buzzer-beating 3-pointer that sent the game into overtime and went 9-0 in the last two minutes of OT for a 91-90 win. With less than four minutes in regulation, the Dons were up by 10 points and it seemed like the Toreros would close out the month with another loss. The team, however, rallied, going 17-7 with Olin Carter III sinking a nearly half-court trey at the buzzer to send the game into overtime. In overtime, San Francisco (21-8, 9-6) led by five points, 85-90, with around two minutes left. That was when Isaiah Pineiro caught fire and scored nine unanswered points to give USD the win. The loss was the Dons’ second only loss at home this season. The other one was to No. 1 Gonzaga. Pineiro finished the night with 28 points and 11 rebounds. Isaiah Wright had 24 points, including three 3-pointers, for the Toreros and Carter scored 16.